Gum disease is never something you want a dentist to tell you that you have. 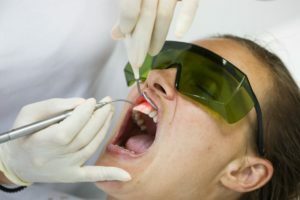 It’s very capable of coming out of nowhere; by the time you realize you have it, its already begun breaking down the essential connective tissue that keeps your teeth in place. Without healthy gums, your teeth can’t function properly, so it doesn’t matter how white or healthy they may be or appear to be. Luckily, there’s a new way to mitigate gum disease and do so without abrasive metal dental tools. Here’s how laser dentistry in Inver Grove Heights can benefit you! Learn How Laser Dentistry in Inver Grove Heights Can Help You! Researchers and developers are doing everything they can to make dentistry work better and more efficiently every day. Whether it’s through improved technologies, techniques or materials, there’s something everyone can benefit from. When it comes to laser dentistry, there’s no exception. It’s understandable for people to have reservations about a technology they’ve never experienced before, especially when it’s related to a sensitive area like their mouth. When administered by an experienced professional, you’ll be surprised at just how effective laser dentistry in Inver Grove Heights can be! Comments Off on Learn How Laser Dentistry in Inver Grove Heights Can Help You! Learn About the New Services Your Dentist in Inver Grove Heights Offers! Southridge Dental is officially one year old! 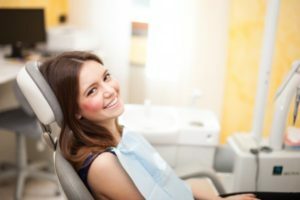 We’ve made a lot of changes during that time so that your visits to a dentist in Inver Grove Heights will be more comfortable and efficient than ever. We’ve also been incredibly thankful for the great relationships we’ve built with our patients and the community. So, whether you’re a new patient or you’ve been with us for quite some time, keep reading to learn about the new services and technology we offer that will take your smile to the next level! Comments Off on Learn About the New Services Your Dentist in Inver Grove Heights Offers! One of the important aspects of your life is your oral care, but now that you’re in a new city, it’s like you’re starting over. You have the dilemma of finding a dentist you can trust your care to. 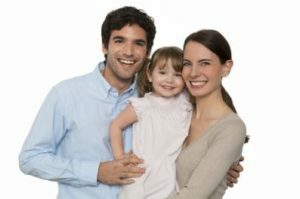 You wish there were some guidelines you could follow to help in your search for a family dentist in Inver Grove Heights. As you read on, that’s exactly what you’ll get! Your Dentist in Inver Grove Heights Is Accepting New Patients! Here at Southridge Dental, we love forming relationships with our patients, and we’re happy to see the same people come back to us again and again for high quality care. 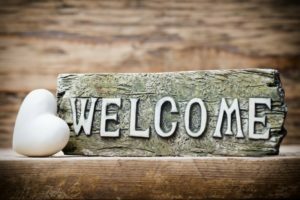 Of course, we also love to meet new people! That’s why we’re excited to be accepting new patients. If you choose us as your dentist in Inver Grove Heights, you can look forward to expert oral health services in a welcoming environment. Comments Off on Your Dentist in Inver Grove Heights Is Accepting New Patients!